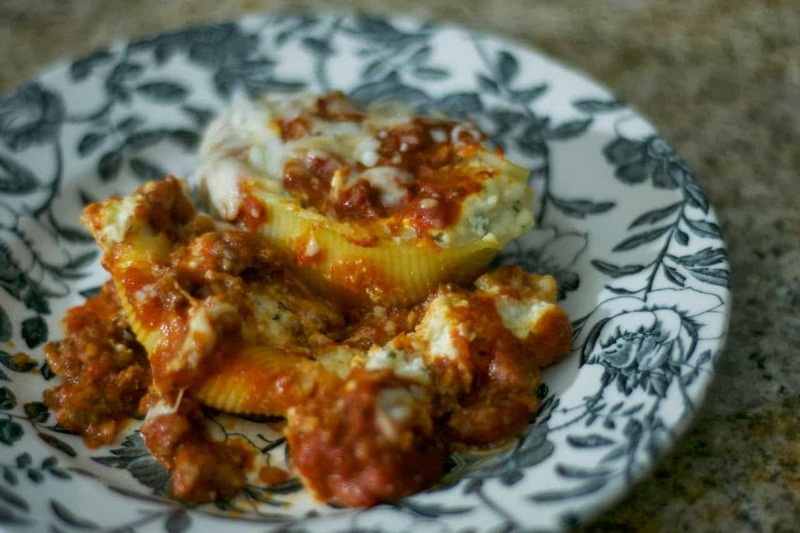 Sharing easy, everyday recipes for life. Yeah, I guess you could say I kind off dropped off the face of the earth for a week. If you’ve been following me on the 365 Days of Baking FB page, you know I came down with a nasty flu bug in the middle of having company visit for our daughter’s high school graduation two weeks ago. It was the better of the two flu’s (if indeed there is a better one) in the sense that it was the achy, stuffed up, miserable, feverish, sneezing, coughing kind of flu. because I couldn’t sleep in my own bed with Mr. 365 without having a coughing attack. I’m seriously not kidding. It was a LONG seven days. I missed my hubby! Then our son came down with it and is now finally getting better. And now Mr. 365 isn’t feeling so hot. I started feeling better just in time to take our middle daughter away to her two-day college orientation last Friday. It was fun, being able to spend the time alone with her, seeing the school and talking to her about her upcoming year. I LOVE the school she chose! She’s close enough to get to if she should need us for anything, yet far enough away for her to have her freedom. And the really great thing about her going off to school is that she’s REALLY, REALLY in love with the school and excited about it!! Her excitement makes it so much easier to let her go. 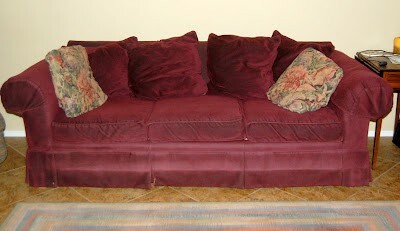 Talk to me come August 16th and I could be singing another story. So she and I returned Saturday night. Sunday, Monday and today, I resumed cooking and baking in the kitchen so that I would finally be able to put a post up for y’all to read. Yeah, well, that was the plan anyway. Sometimes, things don’t turn out as we plan. 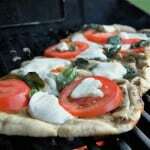 SAVE THIS GRILLED MARGHERITA PIZZA TO YOUR FAVORITE PINTEREST BOARD! Like recipes that you make and really want to write about. So, I’ve been rather frustrated that things haven’t been working out and have found myself in a kitchen rut. I think I’m out of it now though. Back to my old self. This recipe I’m sharing with you tonight wasn’t the best-looking pizza and needs some work in the grilling department, but it was SO DARN DELICIOUS that I just have to share it. The reason I say more work it because I waited too long after flipping it the first time to put the toppings on, so the mozzarella wasn’t melting enough before the crust started to burn, so I popped it into the oven to melt the cheese at about 350 degrees F. for about 5 minutes. Mr. 365 and I also had the grill up on high to begin with, so we messed up there and burnt the crust pretty darn quick in the beginning. You’ll know what you’re doing though and you’ll be able to handle it. Just keep an eye on your crust and the moderate the heat. I need to master the grill. I made double the dough because I wanted to make sure we had more than enough for dinner that night, and we had LOTS left over. 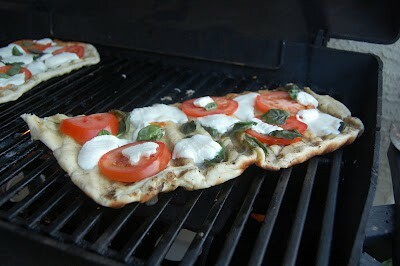 Besides, I was REALLY hungry and in the mood for some grilled pizza. JOIN THE 365 DAYS OF BAKING AND MORE FACEBOOK GROUP TO RECEIVE ADVANCE NOTICE OF MY LIVE FB VIDEOS, SHARE RECIPES AND MORE! 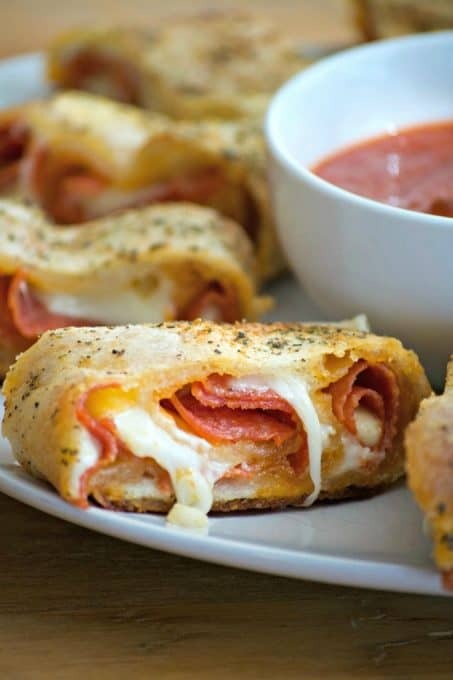 In a large bowl, combine 1 cup of flour, yeast, sugar, oregano, garlic powder, and salt. Add water and olive oil. Mix ingredients together with a wooden spoon until combined. About 1 minute. Gradually add a 1/2 cup of flour at a time until the dough forms into a soft ball. It will be slightly sticky, but add additional flour if needed. Preheat the grill to medium. Turn dough out onto a lightly floured surfaced and knead for about 4 minutes, or until smooth and elastic, adding additional flour if necessary. Cut dough in half and form into two circles about 6 inches in diameter. Place each dough circle on a flat baking sheet or a pizza stone to transfer it to the grill. Brush the tops of the dough with canola oil. 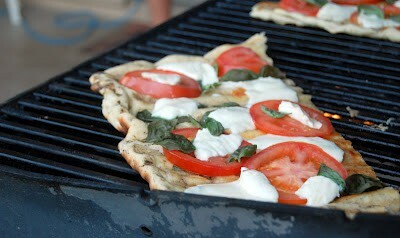 Carefully flip or place the pizza dough, canola side down, onto the grill. Brush the top with the remaining canola oil. Cover and cook for 5 minutes, or until bottom is cooked and grill marks are present. With two large spatulas, flip the dough over to cook. Place sliced tomatoes, basil, and mozzarella over the dough. Drizzle with olive oil. Cover again for another 5 minutes, or until crust is grilled and cheese is melted. Transfer to baking sheets to slice. I rate everything I make on a scale of 1-4 with 4 being the best and despite the fact that I made a mess of this pizza when I flipped it because it was just too doggone big to begin with. The 365 family unanimously agreed that it should be given 4 rolling pins! I REALLY want some right now in fact! It really was very good. There’s just a different flavor to a grilled pizza. It will be fun to make more of our pizzas this way over the summer and try some different toppings. 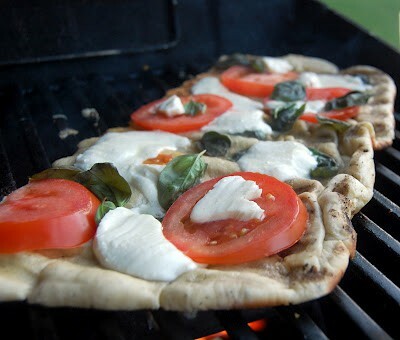 Or just cook the plain ol’ pizza dough without any toppings on the grill and eat it that way! Thank you all for being so very faithful in my absence! I am so very grateful for each and every one of you and I am thrilled you are still here!! Believe me, I do not plan on being gone this long again! 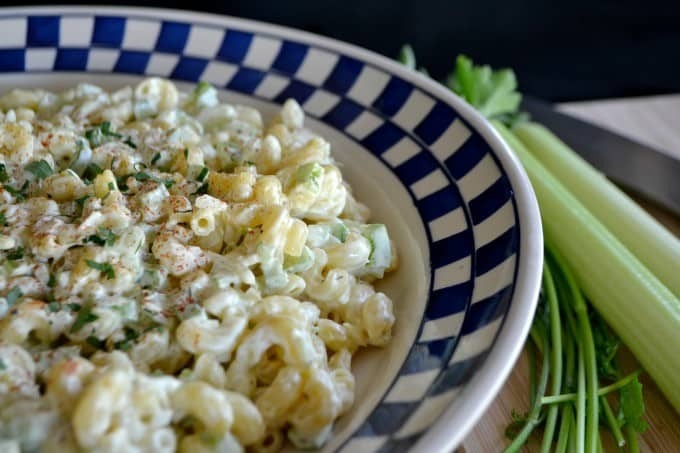 If pizza isn’t your thing, try out these other 365 favorites! Lynne, so glad you’re feeling better! I don’t even touch the grill at my house, that’s hubby’s territory. This sounds wonderful and I’m sure I can convince him to give this a go. Thanks for sharing. Just loking at it makes my mouth water. 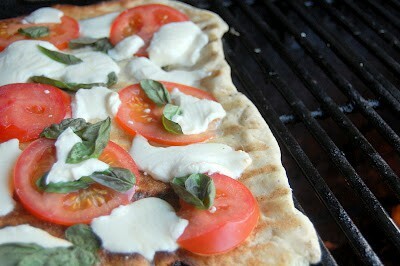 Lynn – I used your dough recipe tonite for my grilled pizza and loved it. It was very tasty and while the dough isn’t as elastic as when it rises, I will overcompensate next time by making smaller pizzas, which will be easier to maneuver. Definitely a do again recipe – particularly now with the fresh basil and tomatoes from the garden. Thanks, Leigh, so glad you enjoyed it and thanks for letting me know! I’m interested to try a dough that rises for our next one to see how that tastes – just a little too impatient at times to do so. Yes, I found it’s much easier to make smaller pizzas as the larger ones are just too hard to flip and ended up sticking to themselves in spots. 365 DAYS OF BAKING AND MORE IS A PARTICIPANT IN THE AMAZON SERVICES LLC ASSOCIATES PROGRAM, AN AFFILIATE ADVERTISING PROGRAM DESIGNED TO PROVIDE A MEANS FOR SITES TO EARN ADVERTISING FEES BY ADVERTISING AND LINKING TO AMAZON.COM.